In no particular order of obsession…..
From ‘Maa main ghar aa gaya maa’ to ‘Isi din ke liye tujhe paal pos ke bada kiya tha’…Bollywood has entered everyone’s daily vocab. It is thus, what gives you your daily dose of…..
Aaye haaye haye! Kya zabardast combo hai! 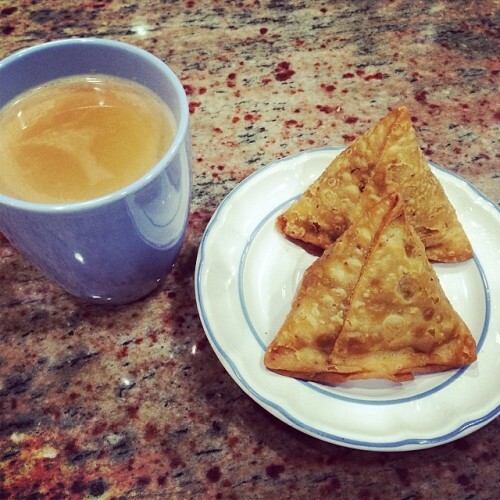 Chai and samose are your evening’s best friends. Though, you have no restrictions over your tea timings. Chhotu ek chai lana! You make sure though, you get all your errands taken care of before the show starts. Yeah, Who wants that nasty episode of constipation repeated the last time you missed on your staple saas bahu show! Mirror mirror on the wall, whose the fairest of them all? You are perhaps way too much obsessed with this question. Right from cracking a job interview to getting the right marriage prospect; you think this is the only key to it all! But people open your minds, this obsession is neither fair nor lovely. Half of you people reading this must already have opened your eyes double their size…Marriages are our soul. We grow to marry one day, we live to wear that designer 10 kg lehanga on our D Day and we breathe to so we can dance ourselves crazy in baraats!! Yoo hoo!! Aaj mere yaar ki shaadi hai! Even if you don’t know a word of English you still want to flaunt your tooti phooti language skill just to fit in the crowd… What crowd? The Angrezi Boling Baboons Club! Seriously people, start taking pride n your own language. English or Hindi, it shouldn’t matter. It is just a matter of expression. You worship your ‘Cannadda’ return relatives. You dreamed since childhood to take your wotti to ‘Switzerlandd’ on your honeymoon and your maa-bauji to Thames river for a sacred dubki (plunge). Especially, if you are a Hindu, you have a obsessive compulsive disorder (OCD) to pray to every given God for every different need and purpose. ‘Somvaar ko Shivji ka vrat rakhegi to acha pati mil jaega’, Mangalvaar ko Hanuman ji ke vrat se achi naukri payega…. etc etc etc. C’mon give the Gods a break! Yup. It has joined your list of obsessions in the past half a decade or so. All you can think about these days what to put on my status, who’s that guy with her in the DP and yes, new on the block, putting up crazily pouting and eyebrow raising selfies of yourself! Hope you hadn’t been that crazy for this one. The crazy, foot-tapping, head nodding beats boom on ‘are you nuts’ volume in your car and you can be found forever rapping and mouthing those not so flattering (to girls) words!! 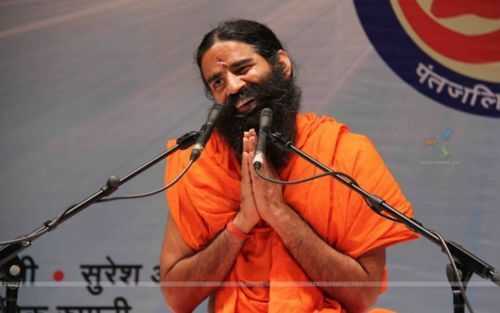 There are all types of babas you are a fanatic for. Yoga babas, ‘kripa aa jaegi’ babas, ‘living art’ teaching babas and even rapists and murderer babas. Not good people not good. Ahh…. Gold and everything glitzy!! What is an Indian without chamchamate jhumke or jhilmilate kapde. Yeah, you love everything glittery. Bling? Bring it on! Being an Indian it is a given you are a die hard foodie. But this bad boy deserves a special column for itself. Chaat, pakode and everything tangy and lip smaking is a must for you. But gol gappe with its grand finale ‘sookhi fulki’… you would do anything for it, won’t you?